At the time, ethologist Frans de Waal of Emory University, whose work has helped redefine what’s known about thoughts and feelings in chimpanzees and dolphins and elephants, said Mogil’s experiment “justifies speaking of ‘empathy’” — the ability to both put oneself in the shoes, or paws, of another, and to become emotionally involved in their situation. 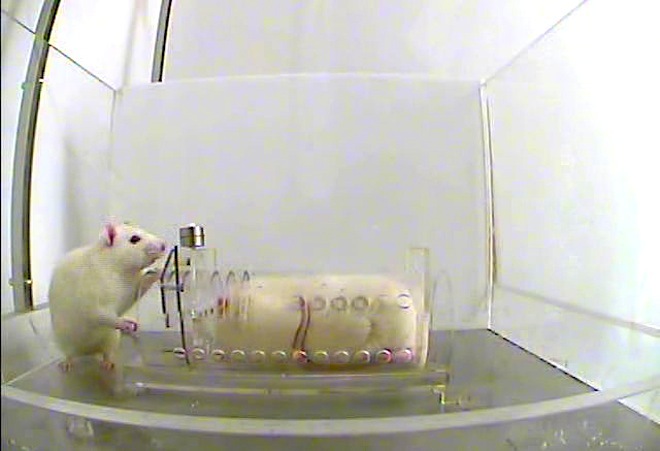 Sure, mice almost certainly weren’t so empathic as humans, but maybe they had the seeds of it. Maybe empathy wasn’t the result of some high-powered cognitive process, as most biologists and psychologists preferred to think, but a relatively simple phenomenon.